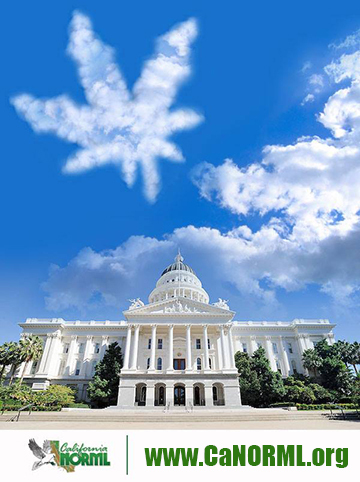 March 1, 2015 – This year’s legislative agenda includes several bills to regulate commercial medical marijuana cultivation and sales in California. None of them have been finalized yet, and all could be substantially changed by gutting and amending. In addition other bills address cultivation and environmental issues, the use of E-cigarettes, organ transplants for medical marijuana users, drug testing for Uber drivers, sentence enhancement for butane oil manufacturing, and more. April 23 – Two medical MJ regulation bills – SB 1262 by Sen. Lou Correa and AB 1894 by Assemblyman Tom Ammiano – passed their first committee hearings in the California legislature this week, heightening the likelihood that the legislature will finally pass some kind of comprehensive state legislation for the legal sales, production, distribution and manufacture of MMJ this year. April 21 – SB 1262 (Correa), a bill introduced by the California Police Chiefs Association and the California League of Cites, passed the Senate Business, Professions and Economic Development Committee today in Sacramento and will next be heard in the Senate Health Committee. April 3 – Tom Ammiano has re-introduced his medical marijuana regulation bill under a new bill number, AB 1894. The new bill will be heard in the Assembly later this month, effectively replacing his other bill, AB 604, which had been pending in the State Senate. March 2014 – For the second year in a row, a “zero-tolerance” drug DUI bill has been introduced to the legislature. The bill, AB 2500 by Assembly Member Jim Frazier (D-Oakley), would make it illegal to drive a motor vehicle with any detectable amount of THC or any other controlled substance in one’s blood. March 5, 2014 – The California Assembly Public Safety Committee will be hearing AB 1588 (Conway) on March 11th. The bill would expand the minimum distance of dispensaries or collectives from schools to 1,000 feet from the present 600 feet. Sept. 12 – The State Senate unanimously passed Sen. Mark Leno’s industrial hemp bill, SB 566. Sept. 9 – The California legislature is about to vote on urgently needed legislation that would clarify the legality of medical marijuana sales, production, transportation, processing and testing through a state-regulated licensing system. 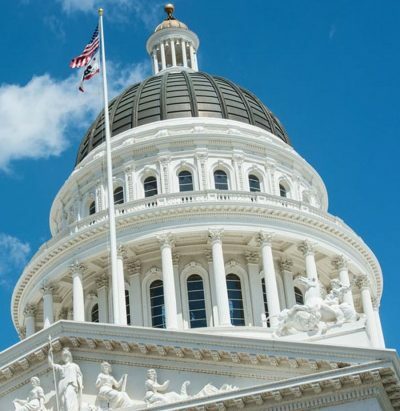 August 14 – The California legislature delivered good and bad news for marijuana advocates after activists walked the State Capitol for a medical marijuana lobbying day this Monday. 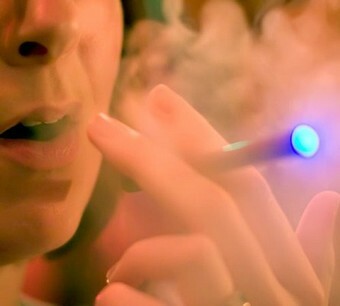 July 16 – The California legislature is considering a bill that would ban the use of e-cigarettes and similar smokeless vaporizers in areas where tobacco smoking is banned. May 30 – Just in time for Hemp History Week, the California Senate approved Mark Leno’s industrial hemp bill, SB 566, on a 39-0 vote. May 30 – The Assembly Appropriations Committee approved Rep. Tom Ammiano’s medical marijuana regulation bill AB 473 with amendments on labeling and local zoning. However, the bill stalled on the Assembly floor. Rep. Ammiano has vowed to continue the fight. May 20 – The California Senate approved a bill to clarify the state’s law protecting medical marijuana collectives. The bill, SB 439 by Senate President Pro Tem Darrell Steinberg (Sacramento), protects collectives and cooperatives that operate in compliance with the Attorney General’s guidelines, and makes it clear that their workers can receive compensation for their labor and expenses. April 30 – The State Senate Public Safety Committee approved Sen. Steinberg’s bill to regulate medical marijuana, SB 439, and refused to pass Sen. Correa’s “zero-tolerance” drug DUI bill, SB 289. 3/15/2013 – Hearings on Sen. Correa’s zero-tolerance DUI bill SB 289 have been set for April 23rd before the State Senate Public Safety Committee. The bill would outlaw driving with ANY detectable amount of marijuana or other controlled substances in the blood. 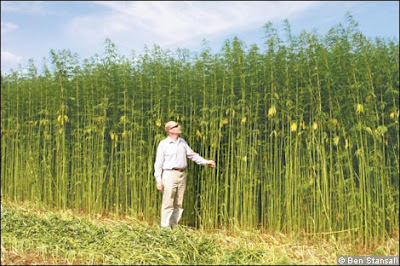 February 26 – There appears to be an excellent chance that the California legislature will once again pass hemp legislation this year, as two bills to legalize production of industrial hemp have been introduced in the CA legislature. April 11, 2012 – Sen. Mark Leno is sponsoring a bill, SB 1182, which would clarify SB 420 so as to make it clear that entities acting consistent with the Attorney General’s August 2008 guidelines may legally sell, cultivate, process, transport, etc. medical marijuana. SACRAMENTO – Nora Campos (D-San Jose) has filed a bill to require that all medical marijuana patients in California register with the state. The bill, AB 2465, is sponsored by the Police Officers’ Research Association of Cal, which wants to make it easier for police to distinguish between illegal and legal marijuana users. Cal NORML strongly opposes the bill, as it infringes on patients’ right under Prop 215 to legally possess and cultivate marijuana given a physician’s written OR oral recommendation. A comprehensive bill to regulate sales and production of medical marijuana, AB 2312, has been introduced by Assemblyman Tom Ammiano (D-SF). The bill is based on a proposed ballot initiative, the Medical Marijuana Regulation Control and Taxation Act (www.regulatemarijuana.org) developed by a coalition of advocates including ASA, the UFCW, California NORML, the California Cannabis Association, the Emerald Growers Association, and others. California NORML supports AB 2312, while being concerned about the danger of hostile amendments from the legislature, whose mood has not been friendly to marijuana. AB 2600 by Chris Norby (R-Fullerton) would prevent the DMV from revoking a person’s driving privileges for simple possession of one ounce or less of marijuana. At present, such a suspension is required if use of a motor vehicle was involved with or incidental to the offense. As introduced, Assembly Bill 2365, by Assemblyman Brian Nestande (R-Palm Desert), would have required that family courts consider parents’ use of prescribed controlled substances, including medical marijuana and narcotic maintenance medications, in child custody proceedings. CalNORML received assurances from Assemblyman Nestande’s office and the Assembly Judiciary Committee that the reference to medical marijuana would be removed from the bill, and it was. Read CalNORML’s letter on AB2365. 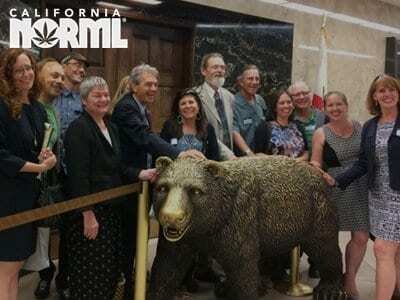 Read CalNORML’s letter in support of SB1506 (Leno). 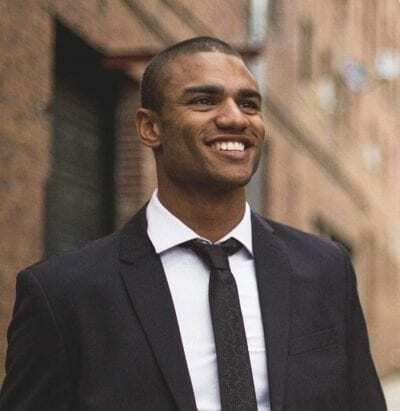 August 31 – Governor Jerry Brown has signed AB 1300 (Blumenfeld), a bill to allow local regulation of medical marijuana collectives and cooperatives. April 13, 2011 – A bill to allow local regulation of medical marijuana collectives and cooperatives has been introduced by Assemblyman Blumenfield (AB 1300). April 5 – Legislation to prevent employment discrimination against medical marijuana patients, and continue to guard against impairment at the workplace, passed the California Senate Judiciary Committee today. SACRAMENTO, March 29 – The California Senate Judiciary Committee held hearings today on Mark Leno’s bill to protect employment rights for medical marijuana users, SB 129, but the vote was delayed for another week due to illness of a committee member. CalNORML Reports, March 2011 – Several important cannabis reform bills have been introduced to the California legislature. They include protecting Prop 215 patients from workplace discrimination, reducing cultivation penalties, legalizing industrial hemp, and establishing full-scale medical marijuana licensing schemes. February 23 – Sponsored by Mendocino County District Attorney David Eyster, Assemblymember Tom Ammiano (D-San Francisco) has introduced a bill, AB 1017, which would change section 11358 of the Health and Safety Code from a mandatory felony penalty to an alternate felony or misdemeanor, known as a “wobbler”. 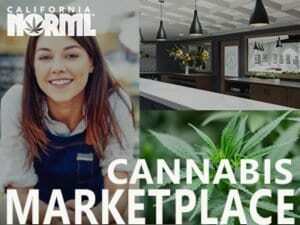 January 31 – Before hundreds of attendees at the California NORML statewide “Next Steps” conference on Saturday, January 29, Senator Mark Leno (SF) announced he has re-introduced his bill to end employment discrimination against medical marijuana users. Sept. 30 – A bill to downgrade the possession of one ounce or less of marijuana from a misdemeanor to an infraction was signed into law by Gov. Arnold Schwarzenegger. Sept. 30 – Gov. Schwarzenegger signed bill AB 2650 (Buchanan), which prohibits medical marijuana collectives from operating within 600 feet of a school as of Jan 1, 2011. Aug. 30. 2010: The California state Assembly voted 43-33 to approve Sen. Mark Leno’s bill SB 1449 downgrading petty marijuana possession from a misdemeanor to an infraction. The bill passed thanks to support from the CA district attorneys and courts; similar legislation had been voted down by the Assembly three times in the past. Read more. Aug. 30, 2010: In a disappointing display of legislative perversity, the California Assembly rejected State Senator Mark Leno’s medical marijuana resolution SJR 14. The Assembly may still have a chance to revisit the resolution in the coming extraordinary session. Read more. June 4, 2010 – The California Assembly has passed a bill, AB 2650, that bans dispensaries within 600 feet of schools. Thanks to lobbying by MMJ advocates, the bill was greatly watered down from an earlier version which would have banned them within 1,000 feet of schools, parks, libraries, religious institutions, child care or youth centers, or other dispensaries. Feb 18, 2010 – Assemblyman Tom Ammiano has re-submitted his bill to legalize, tax and regulate marijuana in California. The new bill, AB 2254, the Marijuana Control, Regulation, and Education Act of 2010 is identical to its predecessor AB 390, which was approved by the Public Safety Committee in January. Ammiano has announced the bill is back-burnered, pending the outcome of the TaxCannabis 2010 ballot initiative in November. 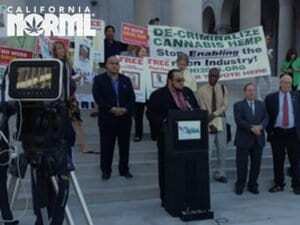 California NORML endorsed AB1811. Read endorsement letter. The bill passed the Assembly Public Safety committee on March 23 by a vote of 5-2, with all Democrats voting yes and all Republicans no. On June 2, 2010, Gov. Schwarzenegger’s office announced its opposition to AB 1811, killing any chance that the bill will be passed by the Assembly this year. In a letter the Governor’s Office of Planning and Research explained, “The bill is unnecessary, as current law already provides protections for people prescribed medicinal marijuana. Drug paraphernalia is currently equipment used only ‘in violation of this division’ and prohibits acts ‘except as authorized by law. '” Despite this, however, Cal NORML continues to hear reports of medical marijuana patients cited for possessing paraphernalia. Jan 12, 2010. In a historic vote, the Assembly Public Safety Committee voted 4-3 to approve Tom Ammmiano’s bill to legalize and regulate marijuana, the first time a legislative body has ever voted to repeal MJ prohibition. Read more. February 23, 2009 – At a press conference today, Assemblyman Tom Ammiano (D-SF) announced the introduction of AB390, The Marijuana Control, Regulation and Education Act, a landmark bill to tax and regulate marijuana like alcohol and tobacco. Read more. 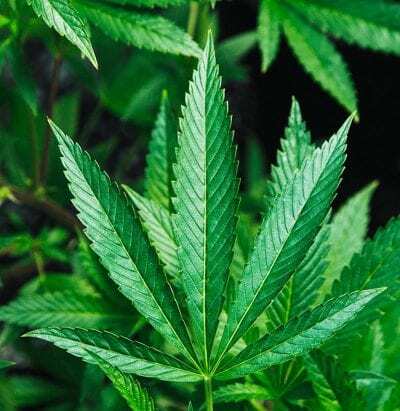 July 21, 2009 – The State Senate Judiciary Commitee approved Mark Leno’s resolution SJR 14 calling for federal recognition of Cal’s medical marijuana laws by a vote of 7-3. The vote was along party lines, with Democratic Senators Alquist, Cedillo, DeSaulnier, Leno, Pavley, Wolk and Negrete-McLeod voting aye, and Repbulicans Strickland, Aanestad and Cox voting Nay. “Moderate” Republican Abel Maldonado was absent for the vote. As usual, the GOP remains stoutly in favor of big federal government over personal freedom and state’s rights when it comes to drugs. August 24, 2009 – The California Senate passed SJR14 by a vote of 23-15. See a complete report on legislative voting records.